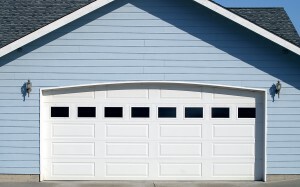 If you need garage door installation services for your home in the Kansas City area of Missouri, turn to 31-W Insulation. We have been expertly installing top-of-the-line home products, including garage doors and more, since 1972, so you can trust us for our experience and expertise. Our installers are highly trained professionals who pride themselves on the accuracy and efficiency of their work, and since they are our own employees rather than subcontractors, they work hard to uphold our high customer service standards. You’ll also be able to rest easy knowing that your purchase is protected, since our doors come backed by some of the best warranties in the industry, many of which have lifetime terms. To find out more or to schedule a free consultation in your Kansas City, MO, home with our garage door installation experts, contact 31-W Insulation today.